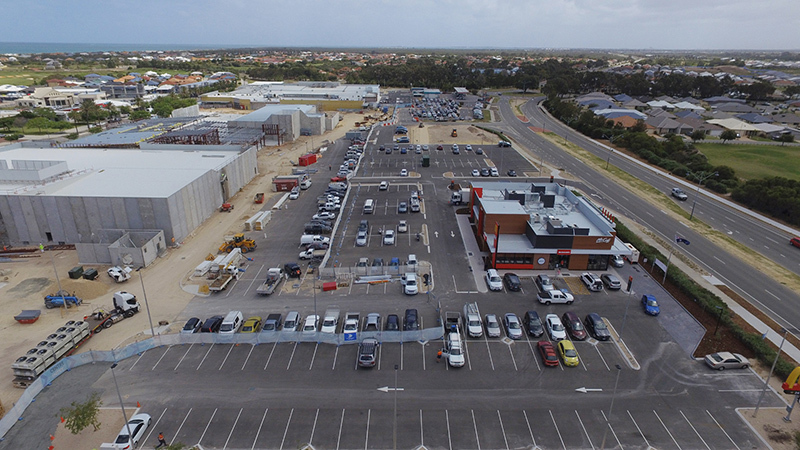 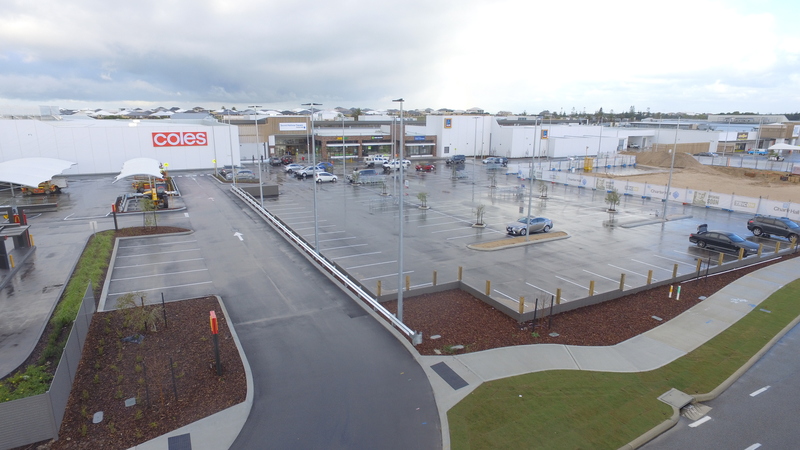 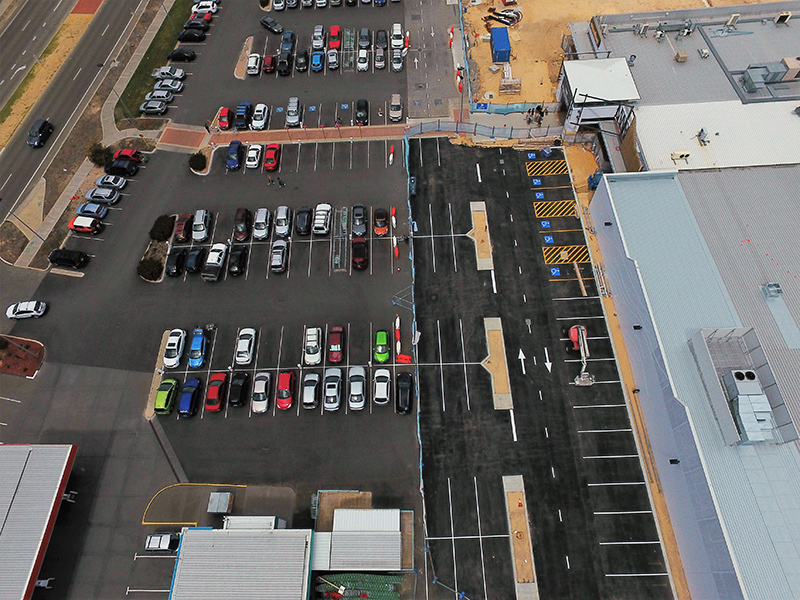 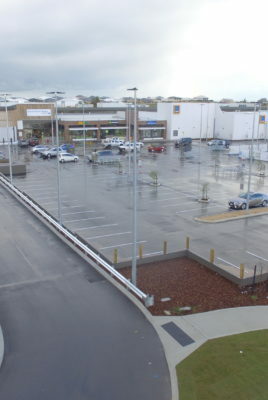 MGC CIVIL WAS ENGAGED BY DORIC CONSTRUCTION TO UNDERTAKE A RANGE OF DEMOLITION & CIVIL SERVICES WHICH INCLUDED, BULK AND DETAILED EARTHWORKS, STORMWATER DRAINAGE AND CAR PARK CONSTRUCTION TO THE SECRET HARBOUR SHOPPING CENTRE. 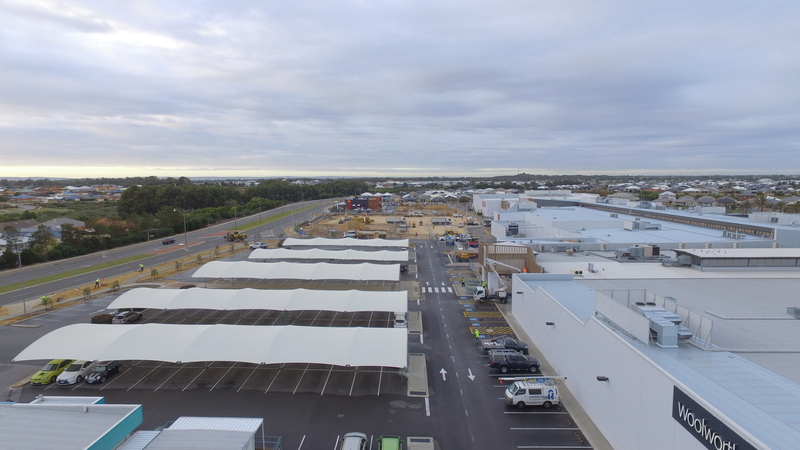 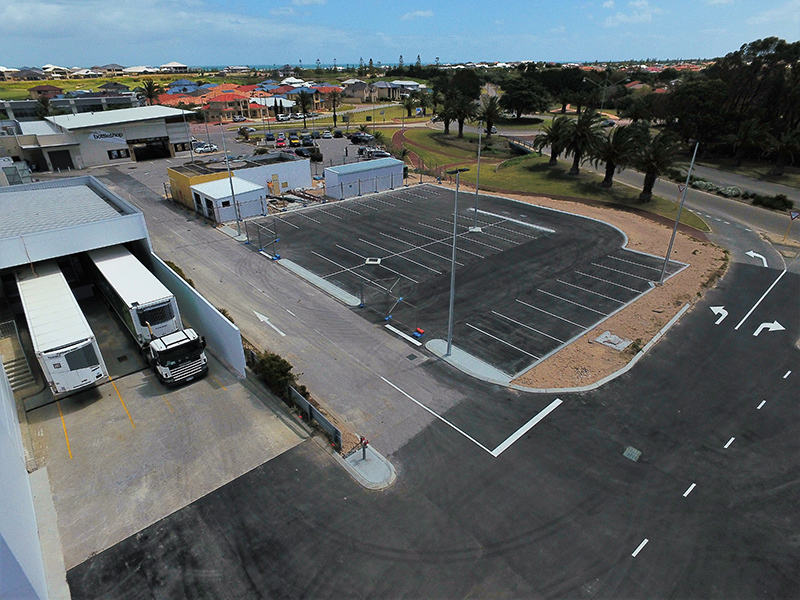 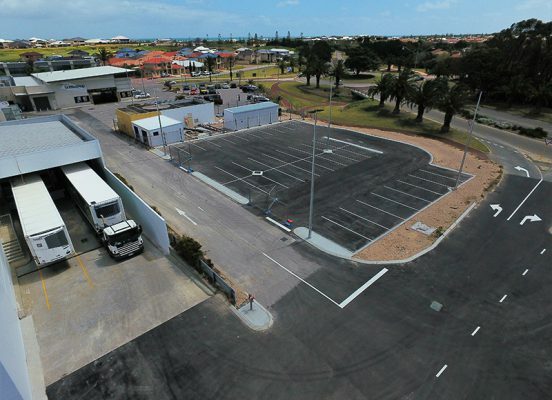 The works included the site clearance of vacant land, removal and disposal of existing carparks, stormwater, bulk excavation and disposal of 15,000m3 of surplus spoil, final trim for pad preparation. 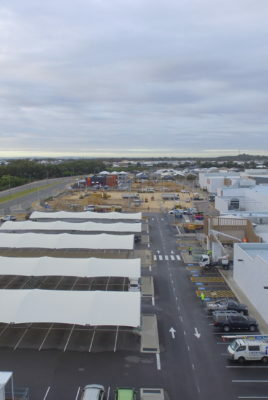 Structural demolition of the shopping center facades to allow integration with the new shopping centre. 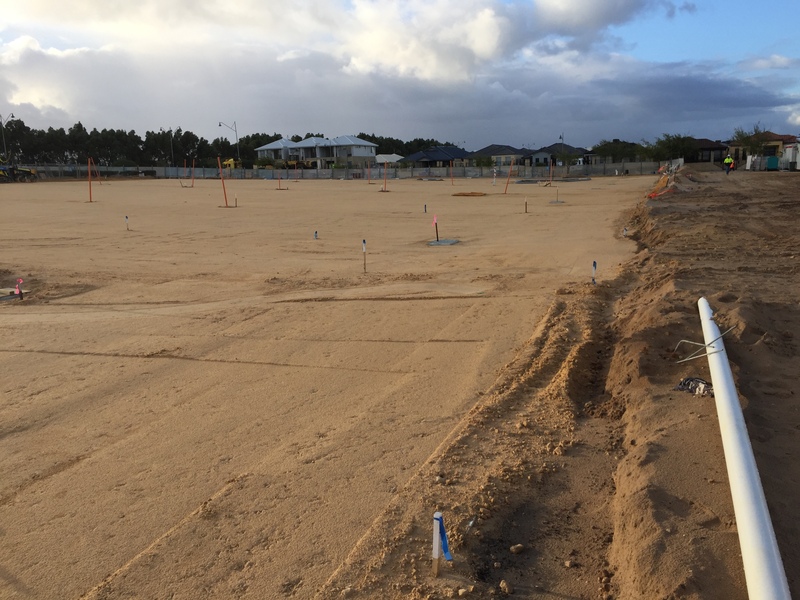 Excavation and installation of the civil drainage including 8,000 Atlantis Cells. 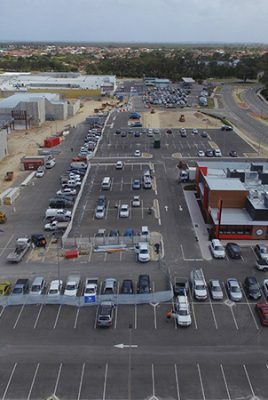 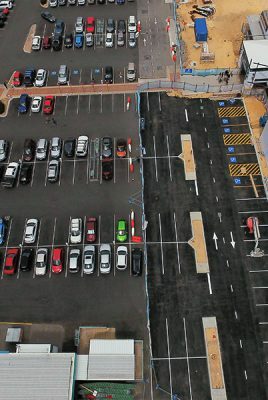 Upgrade to 8,000m2 of existing carparks by asphalt over lay to allow a seamless join to the construction of 17,000m2 of new carparks including asphalt, kerbing, footpaths, signage and line marking.